Shotokan Karate started in Dartmouth in early 1974 as part of Torbay Karate Club at the Secondary Modern School in Victoria Road. 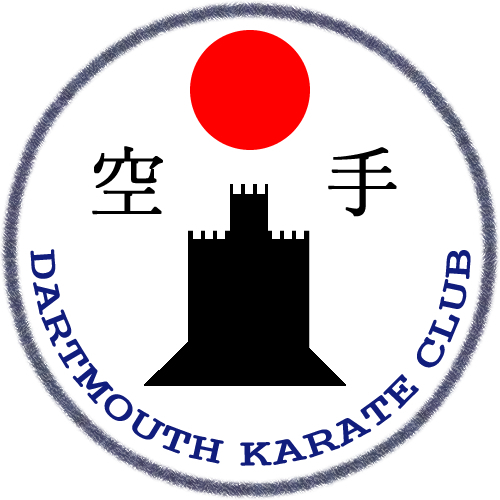 The club flourished and as the membership increased, Dartmouth Shotokan Karate Club became a club in its own right, with Peter Atkins taking over the running of the club as chief instructor. When the new school was built in Milton Lane, the club moved there using both the Secondary Modern & Primary School sites. The club was invited to move to the Dartmouth Leisure Centre when it opened, and has been there since. Over the years, the Dartmouth Karate Club has managed to raise thousands of pounds for charity though the Karate Union of Great Britain (KUGB) annual charity appeal. The Karate Union of Great Britain (KUGB), to which the club is affiliated, was founded in 1966 and is the largest Shotokan Karate organisation in Britain. During the years, the club has had great success with members passing their grading examinations with 100% pass rates, including many members going onto achieve Black Belt. This is made all the greater by the fact that all grading’s are carried out by Karate Union of Great Britain official grading examiners (all 7th or 8th Dans) including world champions and members of world champion teams. Consequently the standard of students and instructors is kept high. Recently all the grading’s have been officiated by Sensei Andy Sherry (9th Dan) who is Chairman and Chief British Instructor to the KUGB and who has been training for over 50 years.